The next morning we are off again. This time we visit the village of Vansai , home to the Akhu tribe. 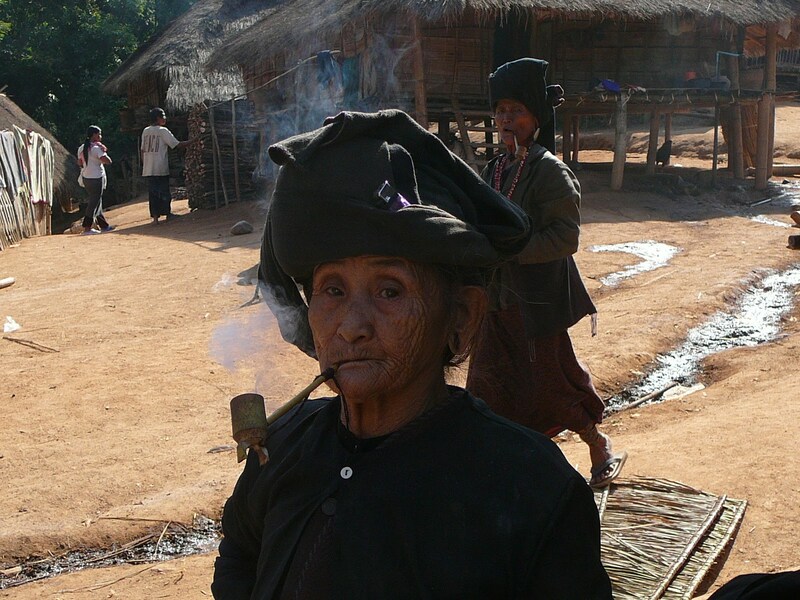 Here the women all smoke pipes made from bamboo. They have a sort of turban on their head, and they carry their pipes, tobacco and matches in the folds of this turban. Their faces show the effect that tobacco smoke can have on the skin, as many of them have deeply etched wrinkles around the mouth and cheeks, but despite this we meet a woman of 92 with her great granddaughter slung on her back. 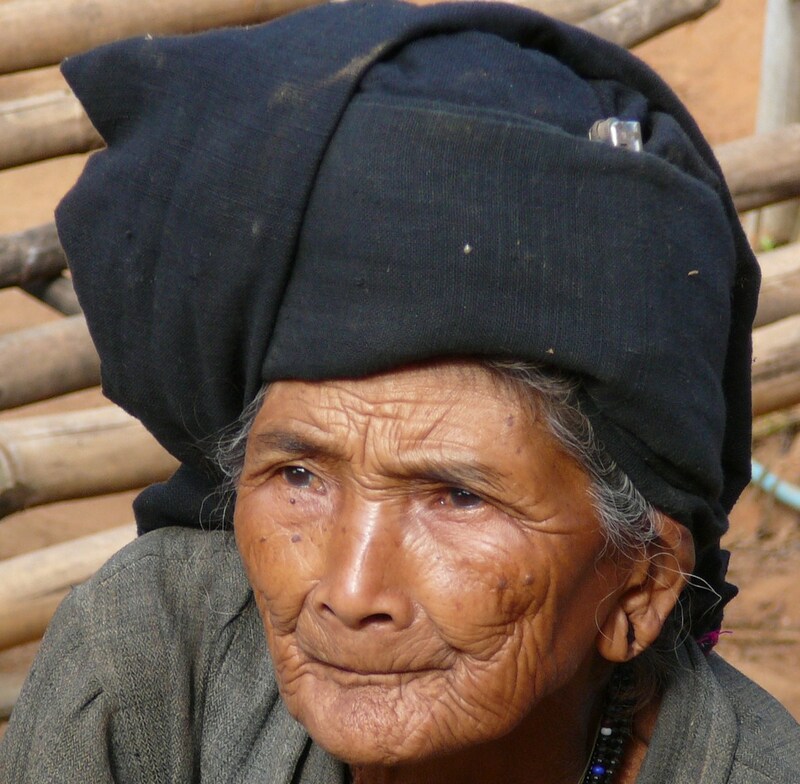 Inexplicably, women in all these tribes live to be much older than men. We have met several women in their 80’s as well as this lady in her 90’s, but few men seem to live beyond 60. It is hard to understand why this is, as the women work every bit as hard as the men, and in this village the women smoke constantly while the men do not. 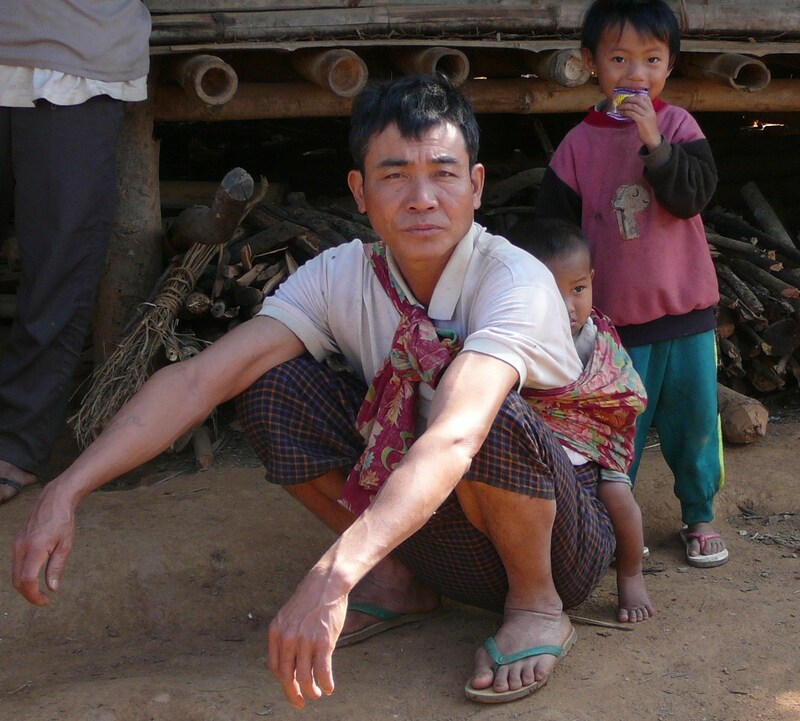 In this village we also meet several men who are at home looking after the children while the women are in the jungle looking for firewood, or tending to the animals. The Akhu is definitely more advanced than the Enn village but not as well organized as the Akha village. This is a Baptist village that has been guided by a pastor. Not to get involved in any sort of religious conflict, but it has to be said that the Catholic missionary did a much better job with his tribe. 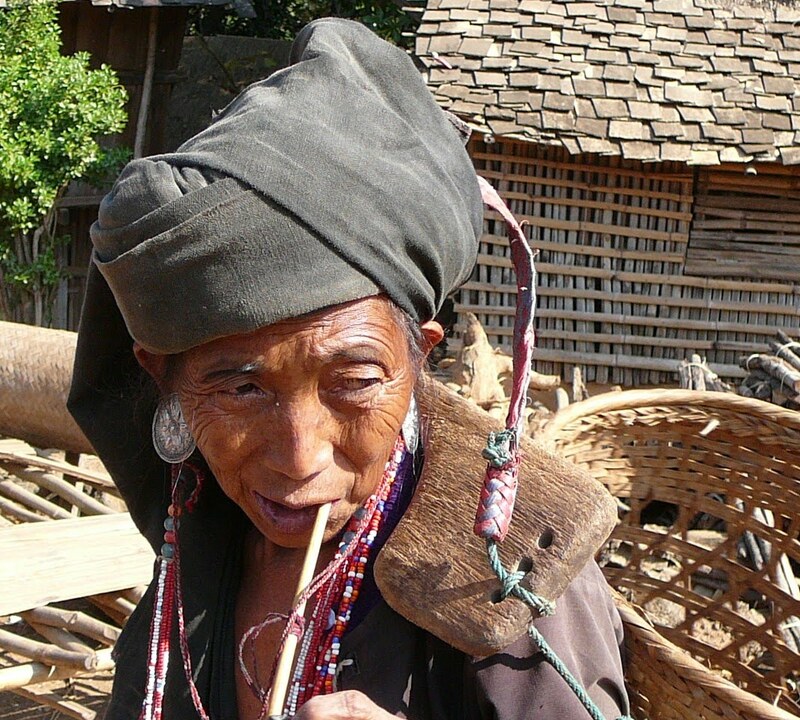 This entry was posted in Akha Tribe, Burma, Enn Tribe, local customs, local dress, local residents, travel, travelogue, Vansai Village, village life. Bookmark the permalink.